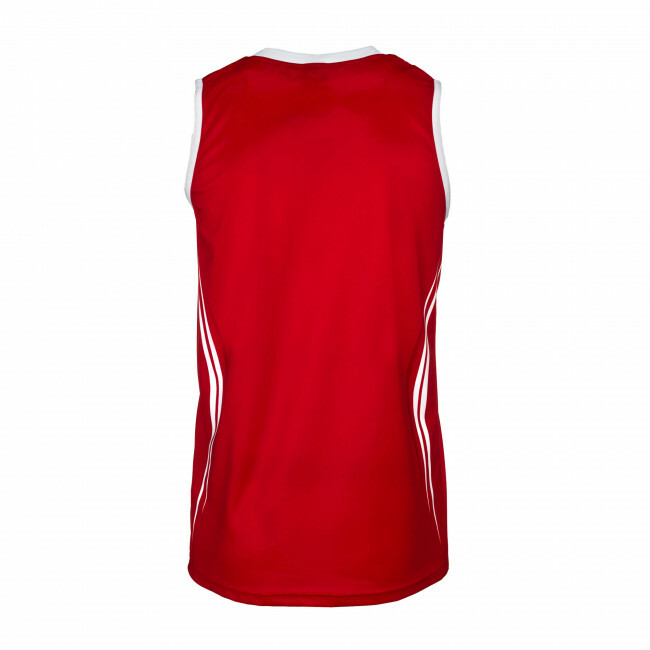 Basketball sleeveless jersey for men. Very distinctive two-colour V-neck. 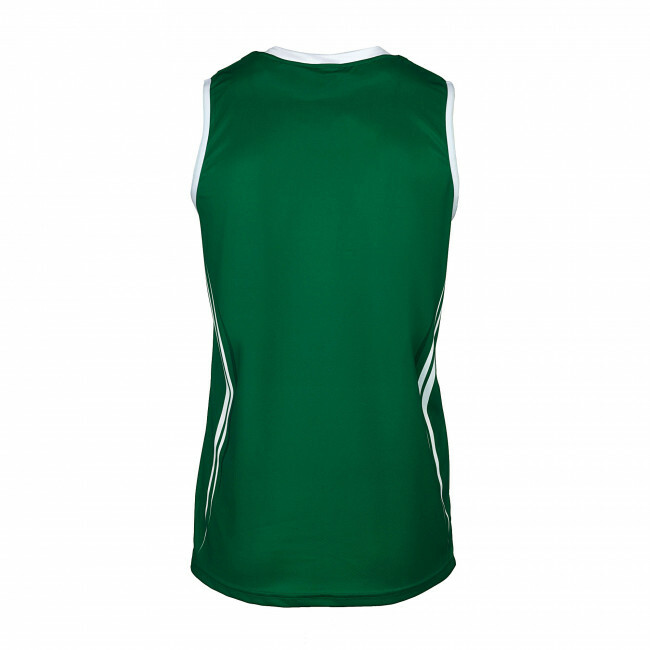 Sleeveless, with contrasting sublimation printed trimmings. Normal fit. Colour-customisable. 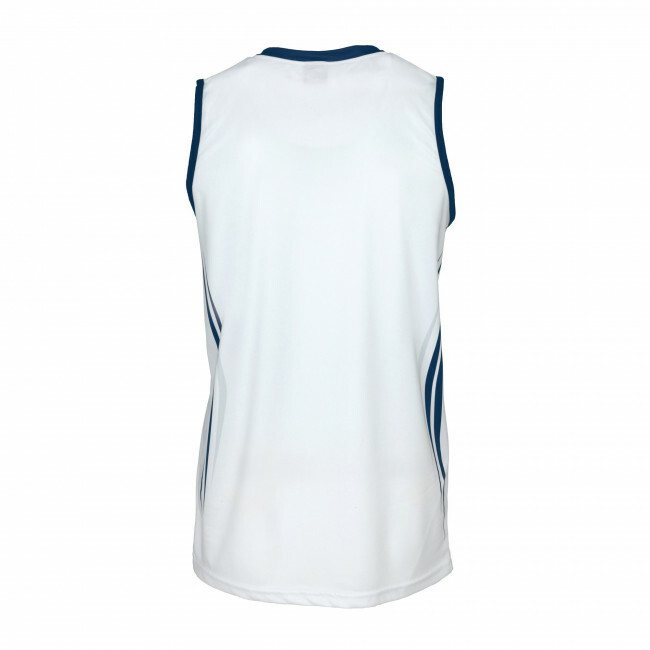 The Illinois basketball sleeveless jersey by Erreà will make you the king of the court! 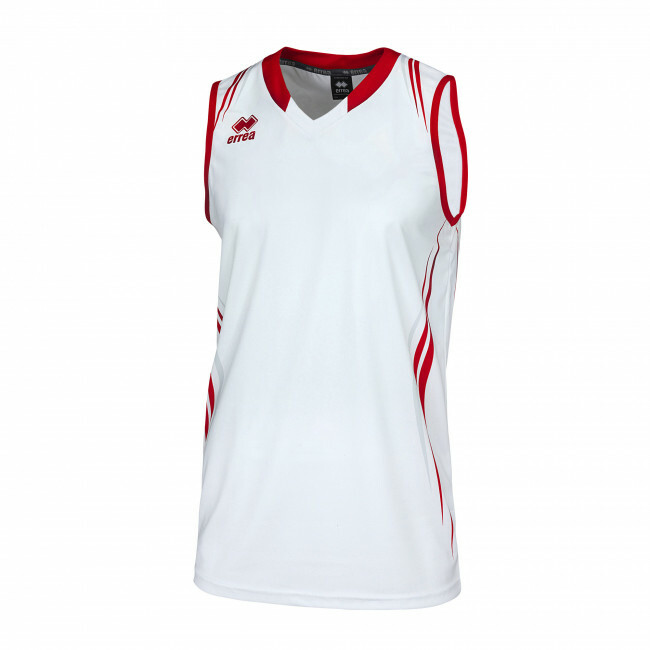 This men's basketball jersey provides you with all you can wish for your most fierce competitions: the V-neck will allow you to easily slip into the jersey, while the wide sleeve openings will assure freedom of movement, great breathability and fitting. 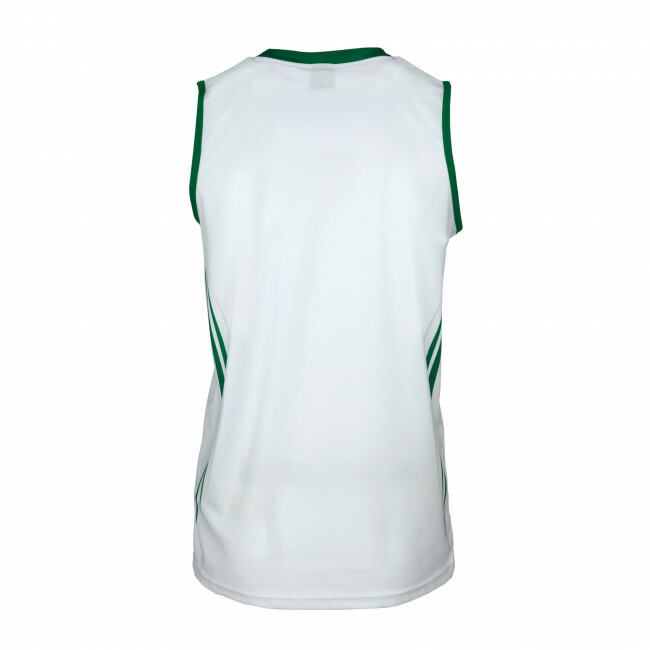 This basketball jersey is made in a soft and breathable micro-pore fabric that ensures rapid moisture wicking. A dynamic design completes the garment, characterised by sublimation printed trimmings on the neck and on the sleeves to further underline your body shapes. 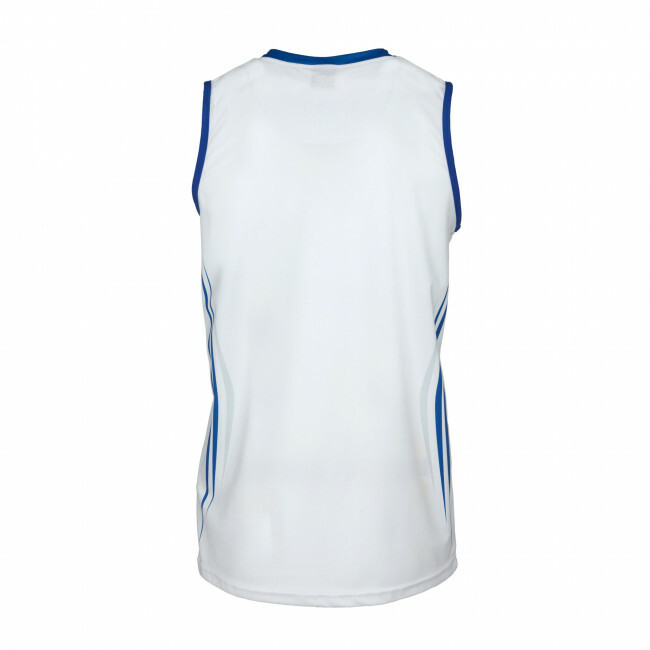 It is a model with standard fitting, not too wide, nor too snug: perfect for your basketball matches. 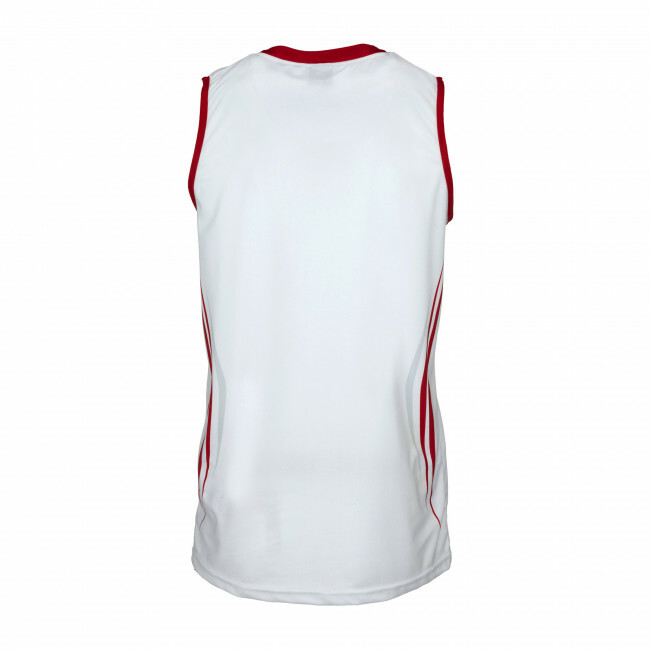 You may create your perfect basketball uniform by matching this jersey with the Illinois shorts by Erreà.